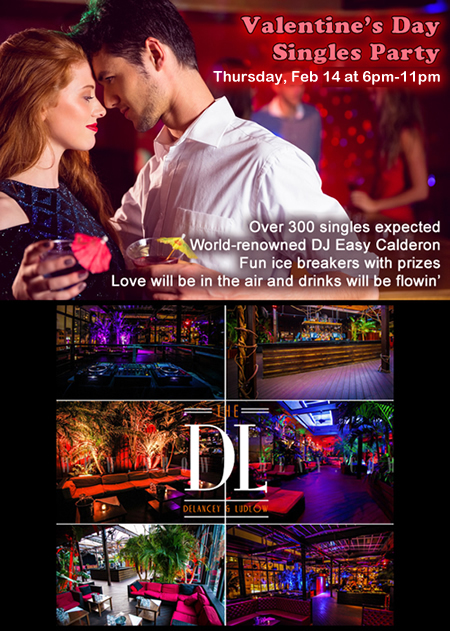 Join over 300 singles at our most awaited Valentine's Day Singles Party @ The DL! With a live DJ, fun ice breakers, complimentary appetizers, a cash bar, and fun prizes, our party will be the hottest event this Valentine's Day! Love will be in the air and drinks will be flowin'.